Wholesale Skateboards with LED lights at $27.00 Each. 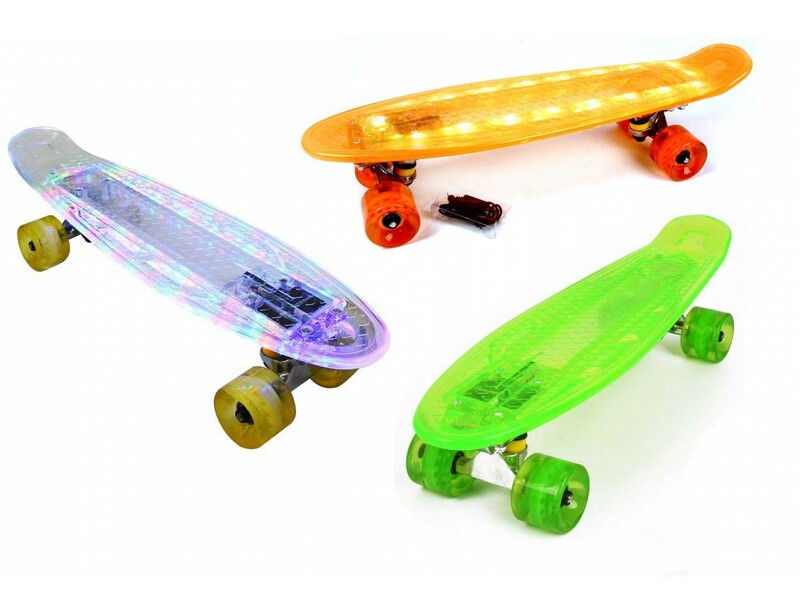 LED Transparent Skateboard in assorted colors. 22" plastic board with charger and polyurethane wheels. Great wholesale skateboard to go cruising at night. Case comes with 1 orange, 1 green and 2 clear boards.